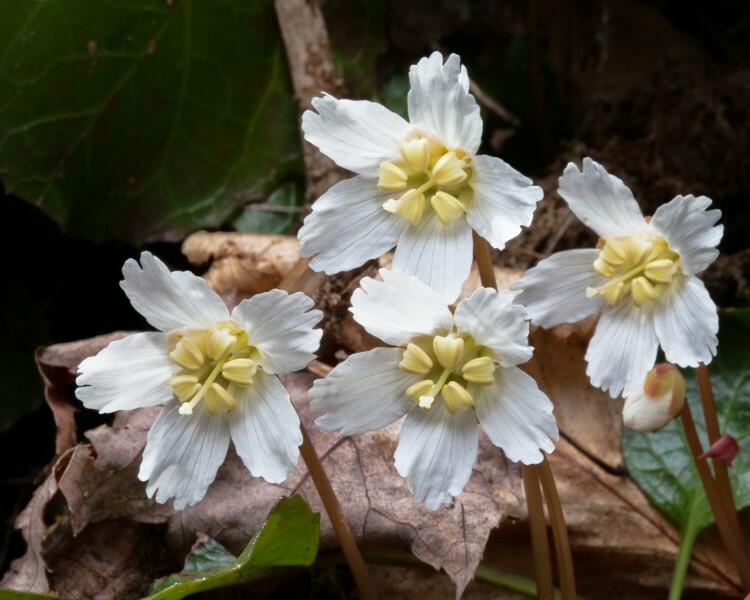 Wildside Garden...a native plant nursery offering seed grown Oconee Bell plants for purchase. This year's Bellfest at Devils Fork St.
16, 2019 from 10:00 am to 2:00 pm. Jocassee. 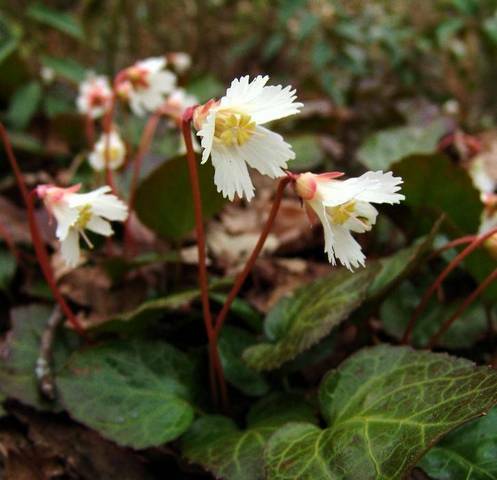 Oconee Bell plants will be available for purchase at the festival. 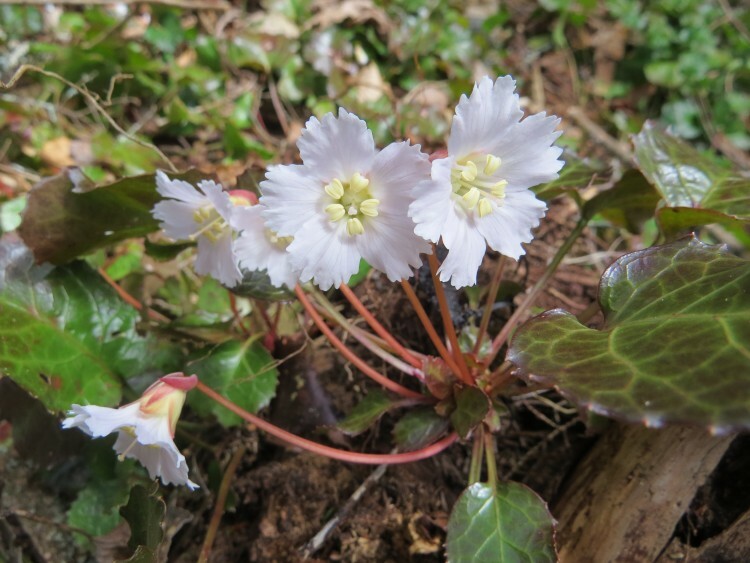 The beautiful and rare Oconee Bell (Shortia galacifolia ) grows naturally in a few locations in the Southern Appalachians of North and South Carolina. Its restricted range is probably due to past glaciation, where it was driven South into the escarpment region of the Blue Ridge Mountains. 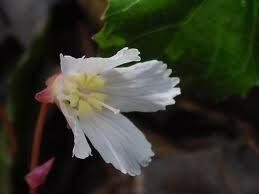 Shortia is hardy well into New England. 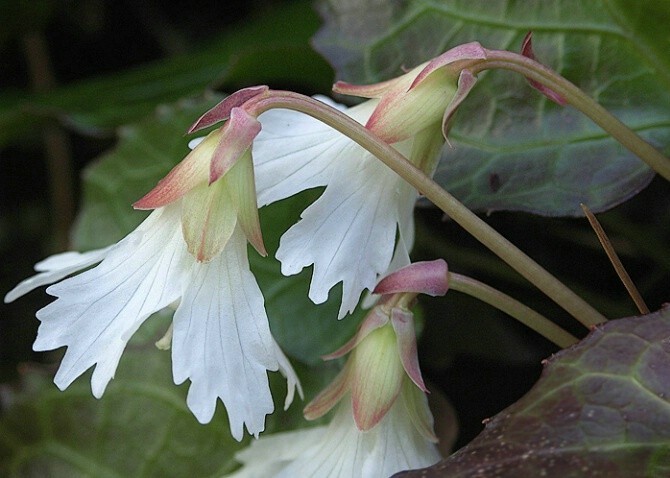 Long sought after by gardeners and plant collectors alike, the Oconee Bell is now finally available. 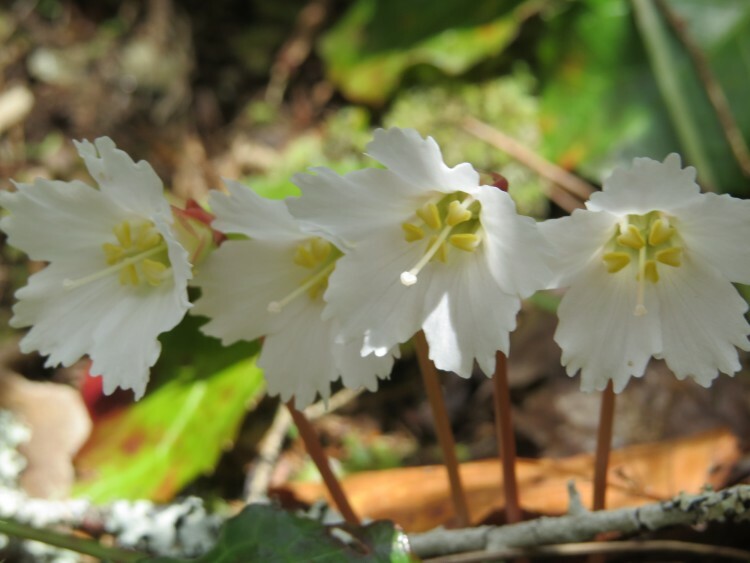 Considered by many to be the queen of the woodland garden, you can enjoy growing this rare gem and help expand its range.